During peak season a 2 or 3-night minimum may apply, however if a (1) one night opening occurs to fill the calendar, a one-night reservation $10 add'l fee June15-Sept 15 will be added. First-floor lodging.....Enjoy this private king room with ensuite bathroom featuring a Sani-jet hydrotherapy tub and shower. The soothing earth, wind, and watercolors will relax you after an activity-filled day. The king bed and stitched water color quilts makes you feel like you're on the Flathead Lake. Read or watch TV from the Gingham check blue wingback chairs. Your own private entrance from the front deck is included. Free WiFi. Room set up for 2 guests. 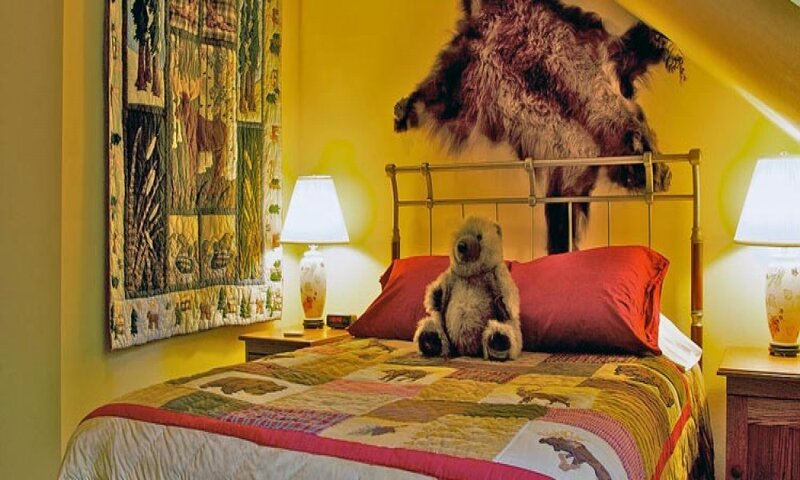 This Americana-themed room features a massive queen-sized brass bed. The sitting area has an overstuffed full-sized sofa with recliner ends. Skylights give this room a lovely quality for stargazers. Red, white and blue Amish quilts and lighthouse lace curtains are the perfect accents to this room. Also, enjoy a private deck with patio furniture and a beautiful view. Floral quilts provide a garden atmosphere with remodeled clean lines updated this spring. 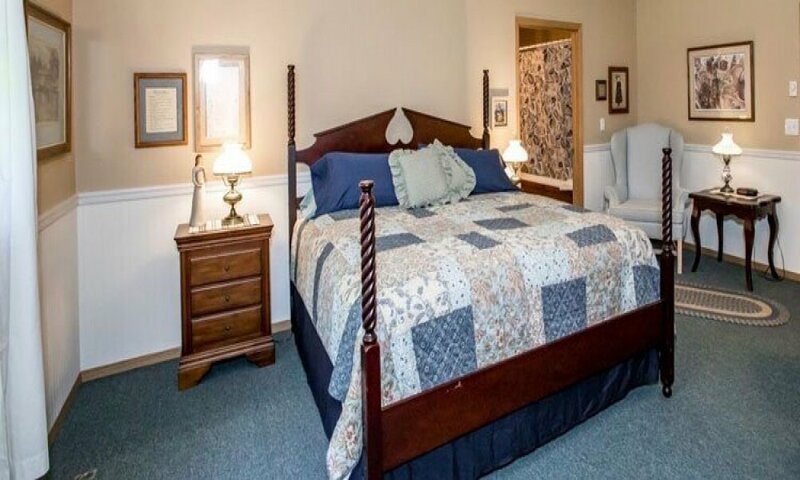 This room features a king-sized bed with a private bath. 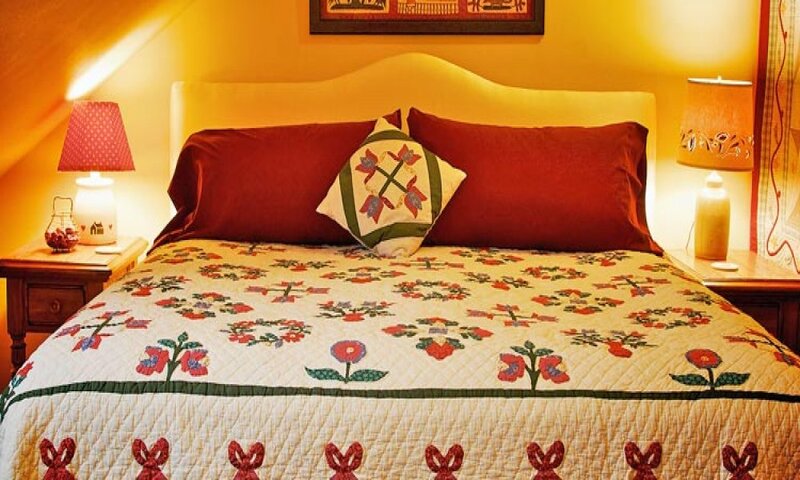 It has a beautiful Baltimore album hand-stitched quilt and antique oak furnishings. A lovely country-style angel display adds the perfect finishing touches. This room is located in a private wing on the second floor. 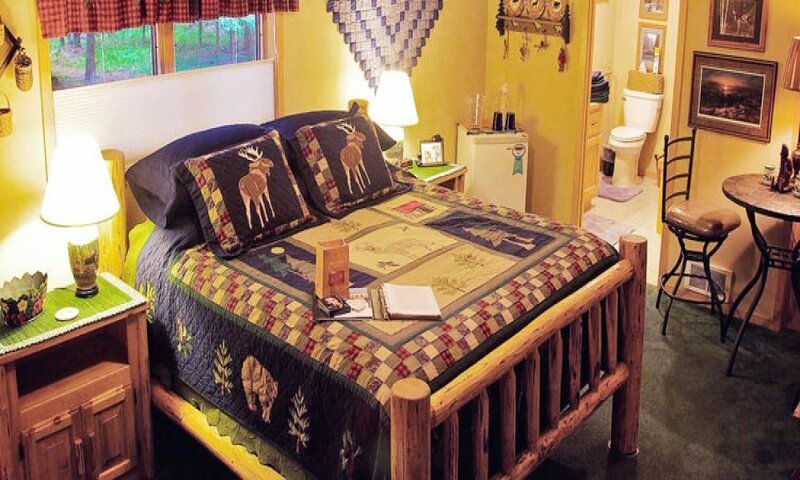 The Wilderness Queen Room features pine-tree lace curtains, wildlife theme decor, patchwork quilts, and locally made shed lamp. The antique pine furnishings create a traditional outdoor Montana feeling. This room is located in a private wing on the second floor.